A Central Florida family experienced quite the shock when they discovered an alligator in their backyard swimming pool. The Lakeland homeowner got home around 5:30 p.m. Tuesday and went out to his backyard, where he noticed bubbles coming up to the surface of the water, according to Craig Lear. 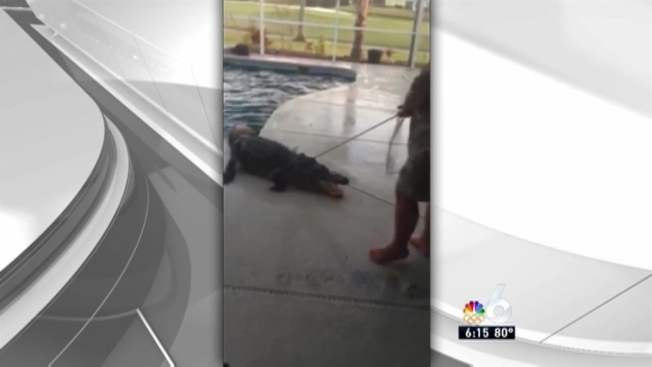 When he realized a gator was in the pool, he called the Florida Fish and Wildlife Conservation Commission, Lear said. They sent a trapper to safely remove it. The home is located on Osprey Landing Drive in the Eagle Brooke Golf Course subdivision.